Kenya is joining a short list of African countries trying to develop their own locally-made phones. The government is putting aside one billion shillings ($10 million) to boost startups working in the mobile telephone software and hardware industry. Information and communications technology minister Joe Mucheru said the move was aimed at bolster manufacturing, making phones that are “suitable for our markets,” besides driving the prices of phones down. By announcing this, Kenya is undertaking a project similar to those in nations including the Republic of Congo and South Africa. Last December, Egyptian president Abdel Fattah al-Sisi also launched Nile X, a smartphone developed by Egyptian technology company SICO for local consumers. Kenya’s decision to assemble a local phone is pragmatic, given the increasing uptake in mobile phones across the country. 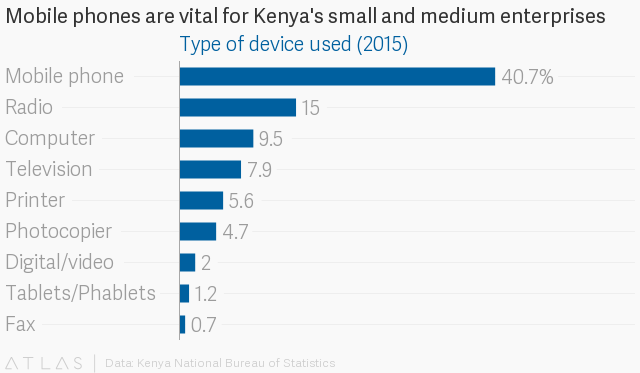 In many ways, the East African nation’s economy is “mobile first”: almost 98% of the population having access to a mobile phone, according to the Communications Authority of Kenya. This increasing ownership has also driven subscriptions to mobile money with the dominant player being Safaricom’s M-Pesa service, itself a global leader in the sector. The rise in mobile phone usage also allowed startups to provide innovative mobile-based solutions including accessing credit, electricity, messaging, insurance, besides paying for ride-hailing services. The rapid mobile uptake has been augmented by increasing internet speeds: one study shows Kenya’s mobile average data connection speed in the first quarter of 2017 was almost twice as fast as the global average. Hardware entrepreneurship is also growing in the country, with maker spaces like Gearbox and start-ups like BRCK building communications hardware meant to provide local solutions. 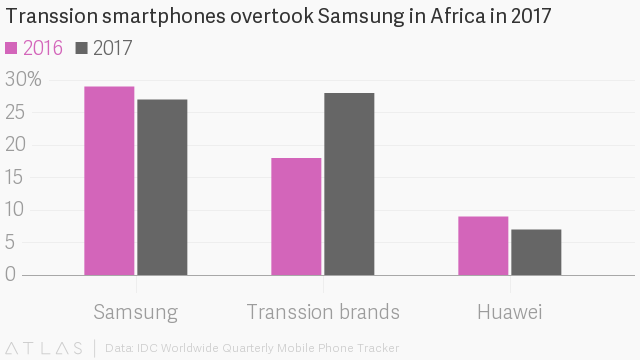 Despite this, developing phones locally and making them attractive to consumers will be a difficult task. Chinese handset maker Transsion Holdings will also prove a serious challenge for any Kenyan brand: using its research centers in Kenya and Nigeria and factories in Ethiopia, the Shenzhen-based company produces phones in and for the continent, some as cheap as $10. And as the company gears up to provide more features in affordable prices in the coming years, it is expected to drive both smartphone and feature phone uptake—proving that Kenya’s dream project will be easier said than done.